The ATKO 8 automatic knife from Paragon is exceptional: it fires hard, feels solid and looks great! 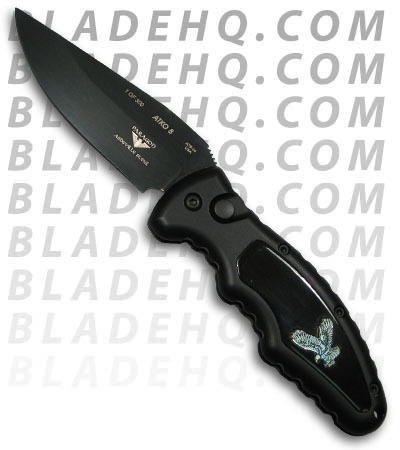 This knife features an ergonomic 6061 aluminum handle with a genuine pearl eagle charm that has been placed into an authentic buffalo horn inlay on the knife's front side. The back side features a grippy Kraton insert. 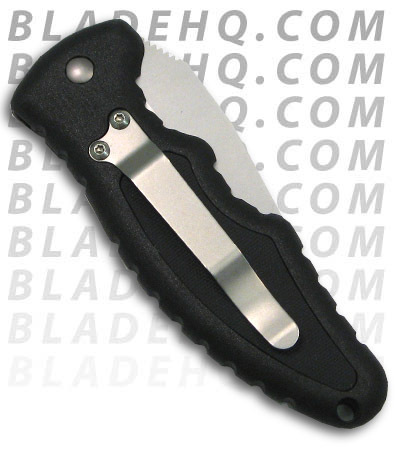 The ATS-34 drop-point blade has a polished DLC finish and plain cutting edge. Includes a tip-down carry pocket clip. This is a limited run of 300.